August is already here! Lazy mornings of summer holidays are just flying by and a new school year is starting soon. I will miss the summer fun, but I am more than ready to start another thrilling academic year with new goals, new challenges, and a hope to make this the best school year ever! 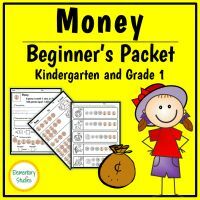 While thinking of upper elementary math, the first topic that comes to my mind is a refresher on the number place value system. These young minds already know the whole number place value, but it’s good to refresh the same and introduce the decimal place value too. The origin of the Arabic number system that we use today can be traced back to the Hindu Scholars in India. This system was adopted and modified by Middle Eastern Scholars and later introduced in Europe. 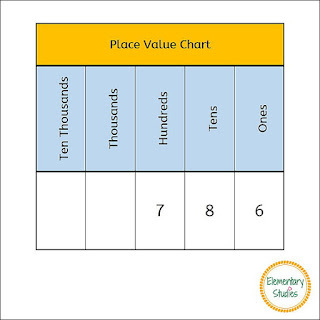 Without going into too much history, let's look at the place value system. The set of 10 symbols namely 1, 2, 3, 4, 5, 6, 7, 8, 9, 0 represent the numbers. 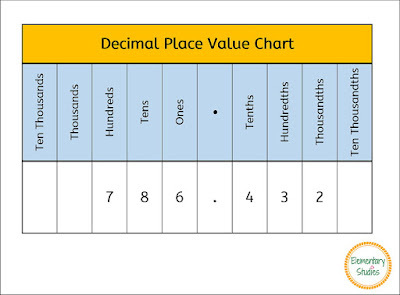 In the place value system, the position of the number defines the value of the number. 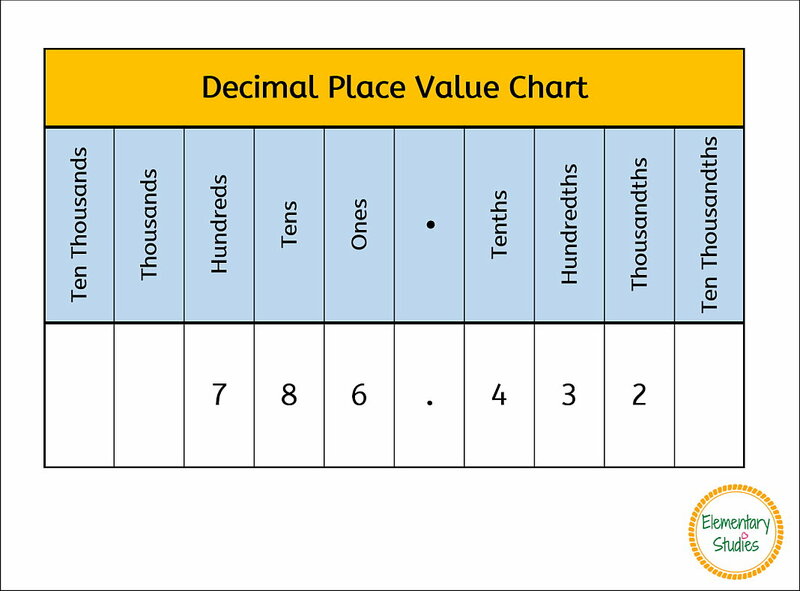 Now for decimals, the place value system extends to the right of ones place to represent the fractions. 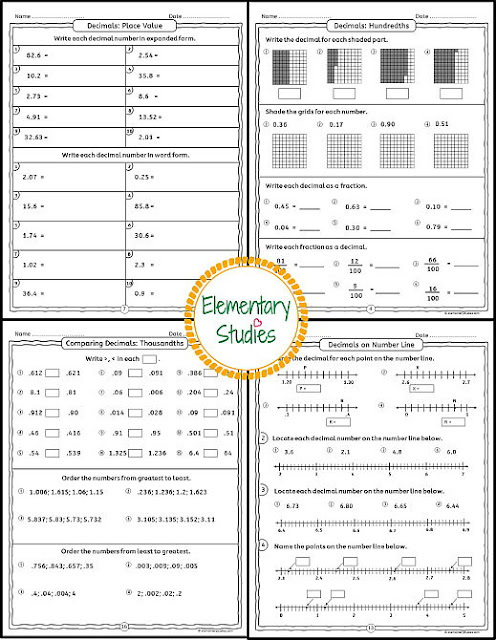 Check out what’s included in my Decimal Place Value Worksheets and Task Card bundle pack to learn and practice the concept of Place Value for decimals: tenths, hundredths, and thousandths. 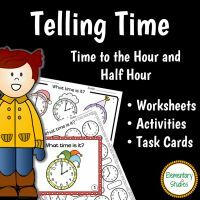 A total of 18 worksheets. 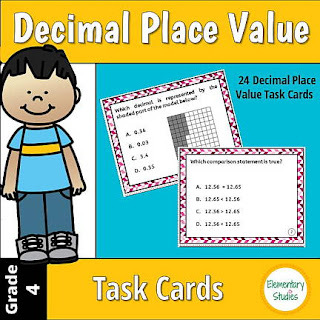 Task-cards to practice the concept of place-value for decimals: tenths, hundredths, and thousandths. A total of 24 cards along with recording and answer key. 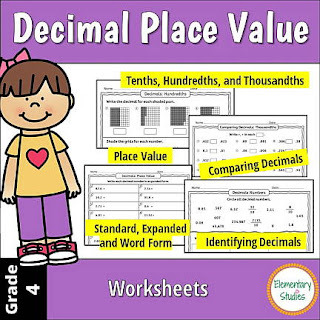 You can grab this Decimal Place Value resource from my store HERE. Happy to be back in action!